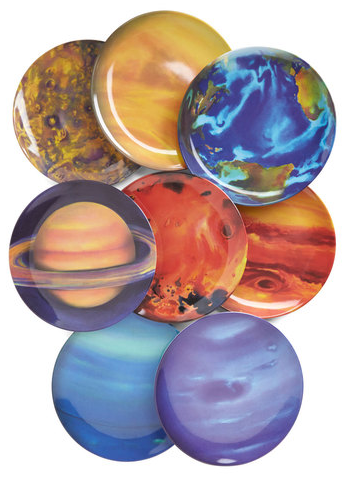 In the number one position on my wishlist at the moment is undoubtedly these planet plates from Modcloth. I’ve loved them for ages, ever since I saw them in the coming soon section on Modcloth. What’s great is that my husband loves them too so that’s even more of an excuse to spend money. They would look so amazing in the house. As soon as I next get paid I will be buying these and I can’t wait. 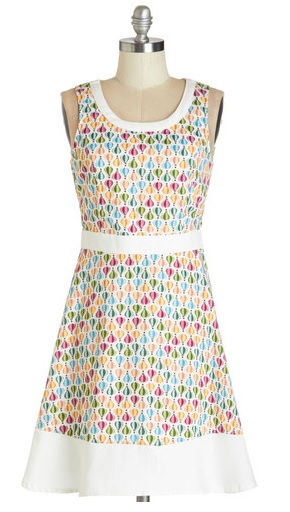 I discovered this dress when my friend Jamie from Petite Panoply posted it on her blog recently. It immediately formed part of my wishlist too. I love how fun, colourful, dreamy, magical and adorable the print is. I have never seen a hot air balloon printed dress before so I think it’s very special and unique. I hope this dress somehow makes its way into my wardrobe. I came across Bait Footwear recently; I’m so in love with the vintage style heels and wish I could get my hands on some. I always find it extremely difficult to locate vintage style shoes and I often believe that’s what is missing from my style. It’s great how these shoes come in so many different colours. I also love the version with the t-bar straps. However it’s this red version that’s my absolute favourite. 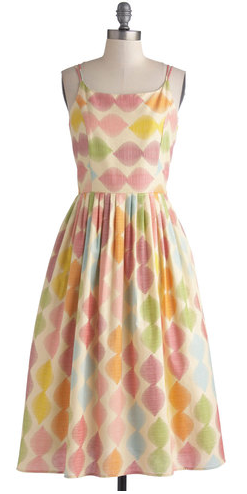 I’ve seen a few bloggers with this dress lately and it makes me love it even more. There are a few dresses which I commonly see in the fashion blogging world such as the Bernie Dexter Wizard of Awesome Dress which I also owen. It makes me feel part of the club. Apart from that I adore the soft colours and the association with macarons. I’ve also been impressed by a couple of other Bea and Dot pieces so I’m sure this is no exception. I’ve had my eye on these flats for sometime now and, given that there is a sale on Alannah Hill shoes at the moment (more than 50% off for these), I probably will end up buying them. The colour is so unique and beautiful; I don’t think I’ve ever seen this exact shade before. It’s such a stand out and I’m drawn to it. I love the silver heel, it is one of my favourite details on shoes at the moment. I also have the matching handbag in the same colour. 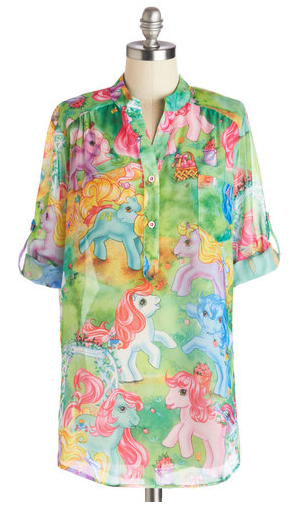 I just love how My Little Pony has made its way into fashion in recent times; My Little Pony tops and dresses are such a fun and happy idea. I adore the childhood memories it evokes. If I had this it would instantly become my new favourite top. I also love the My Little Pony printed dresses which I’ve seen on ebay but they are somewhat difficult to track down in the correct size! 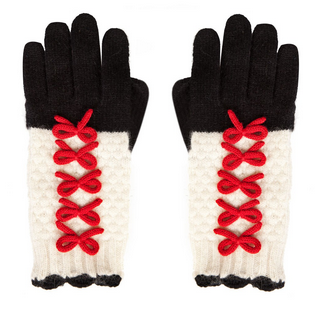 These gloves are super adorable, sweet and pretty. I love the classic colour combination and the series of bows is the stand out feature. They are the best gloves I have ever seen. It’s freezing leaving for work at 7.15am at the moment so I’d definitely get a great deal of use from them. As Rebecca Bloomwood said in Confessions of a Shopaholic, gloves are a necessity because it is winter and I have…hands. Please come on sale! Great selection doll like the flats have a great weekend. The balloon dress is so cute, very you. the first dress is my favourite. I looooooove my little pony dress!!! I want nowwww!! I love these beautiful dresses, you have stunning choice! Thanks for sharing your opinion with me. Wishing you a warm and wonderful weekend! These planet plates are so cool. And these red vintage shoes are so adorable! I like the fact that you love vintage things, and your life is so fun and wonderful. I love vintage things as well, and I think I always will. Happy Friday, sweet Imogen. I always leave your posts with a smile on my face, and for that, I thank you. I love the printy items. they're lovely for such a heat weather right now. Thank you so much for your sweet comment on my blog… I was touched. Love your wish list, dear Lady! Especially shoes and gloves … (probably because I can not to make them) I hope your wish will soon be fulfilled and you take photos wearing each. Happy weekend. OMG those dinner plates are amazing I would have to hang them on the wall. They are way to nice to eat off. Ahhhh! Why did I come here when I have no money but always love all your wishlists! a pretty selection, have a great week end! I like your blog and your style very much. Just started following you with gfc. Would you like to follow each other? Love your picks and these planet plates are really something special! I love the balloon dress from Mod Cloth and the gloves~! Oooh, the plates are beyond cute!